Post Golmaal Again storm, box office has again gone back to the dull phase it was prior to it. 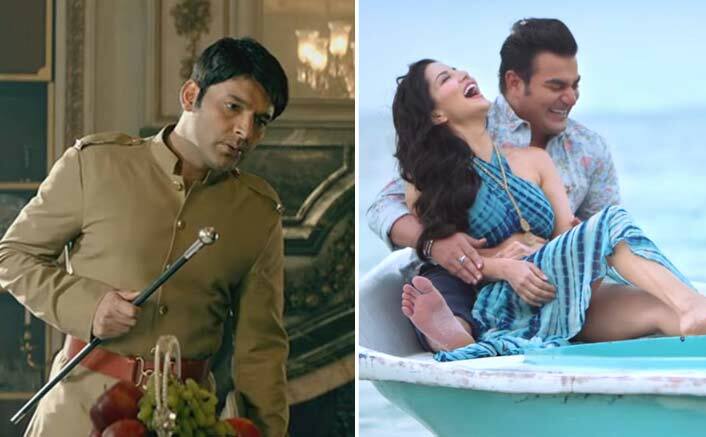 This week we saw two movies clashing at the box office which were supposed to release previous week – Kapil Sharma’s Firangi & Sunny Leone-Arbaaz Khan’s Tera Intezaar. There wasn’t much of an expectation from either Firangi or Tera Intezar to open well at the Box Office. In fact it was quite clear that Firangi would hover around the 2 crore mark while Tera Intezar would do well even if it manages a 1 crore number on Friday. This is exactly what happened as the Kapil Sharma starrer could bring in just 2 crore* whereas Tera Intezar stayed really low at just 50 lakhs*. These are disappointing numbers indeed because it has been ages since a film opened well at the Box Office. Things could have been much better though had Padmavati released as per schedule yesterday. That would have reignited fire at the Box Office after Diwali Blockbuster Golmaal 3 which is still going strong at 205 crore. However, since the Sanjay Leela Bhansali film is yet to find a release date for itself, smaller films are releasing on back to back weeks, though not with much success. The story of the film “Firangi“, set in 1920s’ Punjab, revolves around a villager named Manga who goes through a tough time in the society for being a servant of British government at a time when Indians were fighting for freedom. Tera Intezaar stars Arbaaz Khan, Sunny Leone, Salil Ankola, Sudha Chandran and Arya Babbar in key roles. It is directed by Rajeev Walia and produced by Aman Mehta and Bijal Mehta. The post Box Office – Firangi & Tera Intezaar Open On Expected Lines appeared first on Koimoi. Venom Box Office Collections Day 10: Not The Kind Of Run It Expected!